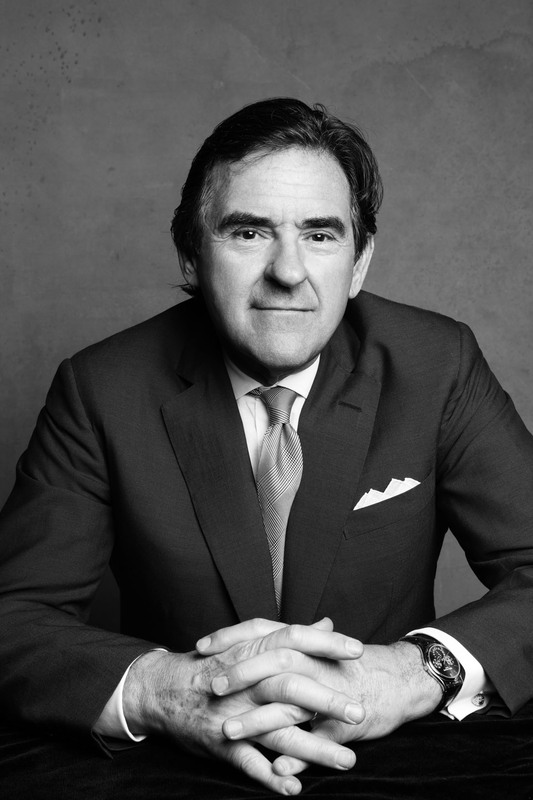 Peter Brant is an entrepreneur, manufacturing executive, philanthropist, sportsman and art collector, whose eclectic mix of personal interests and commercial ventures have resulted in achievements in business, philanthropy and the arts. Mr. Brant is the chairman and chief executive officer of White Birch Paper, whose predecessor business his father co-founded in the 1940s. In 2008, Mr. Brant bought out his partner in the company. In 2010, after a sharp downturn in demand for newsprint, he guided the enterprise through a major restructuring that has positioned it for the future. Today the company, which is based in Greenwich, Conn., remains among the largest newsprint manufacturers in North America, operating four pulp and paper mills in Canada and the United States. As a real estate developer, Mr. Brant was in 1983 the driving force behind Conyers Farm, a premier residential community located in Greenwich, Conn. and North Castle, N.Y. Mr. Brant sought to retain the character and aesthetic of the 1500-acre parcel of rural land by establishing strict zoning, building and environmental standard, ensuring appropriate density with and architectural integrity among the homes built there. As his primary philanthropic focus, Mr. Brant established The Brant Foundation, Inc. and The Brant Foundation Art Study Center, both based in Greenwich. The organizations promote education and appreciation of contemporary art and design. The Brant Foundation, Inc. makes artwork available to institutions and individuals for scholarly study, examination and loan. The Brant Foundation Art Study Center mounts exhibits – open to the public by appointment at no charge. Mr. Brant has long been active in support of major museums and has made major financial donations in the past 10 years to The Museum of Contemporary Art, Los Angeles, The Metropolitan Museum of Art, The Guggenheim and The Glass House. He is a member of the advisory council of The Andy Warhol Museum in Pittsburgh, serves on the art advisory board at Hunter College, New York, NY, and is a member of the Department of Modern and Contemporary Art’s Visiting Committee of the Metropolitan Museum of Art, New York. A former trustee of both the Solomon R. Guggenheim Foundation and the Museum of Contemporary Art, Los Angeles, in 2013 Mr. Brant was awarded an American Art Award by the Whitney Museum of American Art for his commitment to the arts. In 2015 Mr. Brant was honored by the New York Academy of Art and in addition, received the Montblanc de la Culture Arts Patronage Award for his commitment to arts and philanthropy.